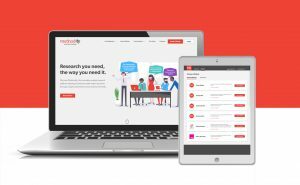 Toronto, May 8, 2018 — Delvinia, the company behind a portfolio of valuable data collection businesses, has launched its new automated marketing research platform Methodify. The platform, successfully beta tested with clients RBC, Corby Spirit and Wine and BMO Harris Bank, bridges the gap between brands and consumers. It employs industry-proven research methods to test consumers’ feedback on everything from product concepts and pricing strategies to advertising campaigns and user experiences. Featured research partners include Kantar and element54 while Voxpopme, is the newest technology partner to join the platform. Voxpopme is an end-to-end video insight platform that makes capturing, analyzing, and sharing video research fast and easy. Having a better understanding of customers is a necessity for brands to stand out and prosper according to Steve Mast, President and Chief Innovation Officer of Delvinia. Yet, many brands are foregoing scientific rigour to garner insights faster through DIY research methods. Learn more about Methodify and its suite of methods at methodify.it. Delvinia is transforming the way organizations collect and use data, enabling them to make better and more informed decisions. Founded in 1998, the innovation company includes a successful portfolio of digital businesses, each with a focus on data collection. Delvinia Custom Solutions uses new and emerging technologies to help clients collect, visualize and enable data; AskingCanadians and AskingAmericans offer a range of data collection services to market researchers throughout North America, including access to an online research community of more than one million Canadians; and Methodify provides the ability to gain customer insights through an innovative online platform in as little as 12 hours. For more information, visit delvinia.com. Methodify, a Delvinia company, is an automated research platform that’s changing the way businesses access customer opinions. With a full range of industry-proven research methods, Methodify enables marketers and researchers to automate their research process and gain consumer insights within hours. For more, visit methodify.it.